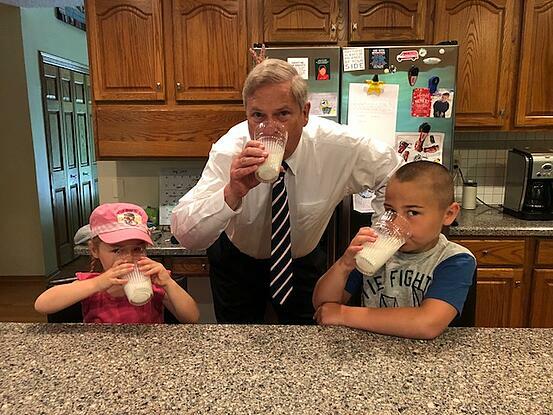 Around the world, people are raising a glass of milk in celebration of World Milk Day. You should, too. 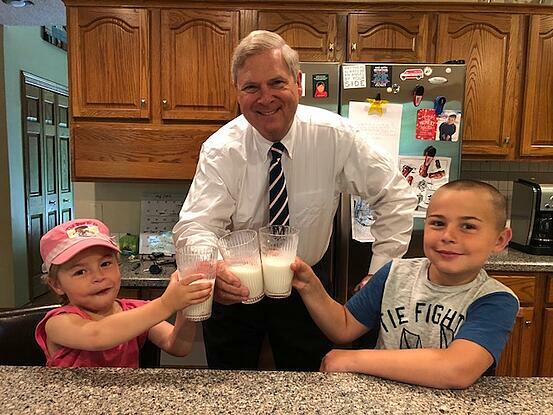 USDEC President and CEO Tom Vilsack got a head start earlier this week with granddaughter Caroline and grandson Jake. They are ready for more today! Meanwhile, two visitors to USDEC's office from South Korea, Shin Chung, shown at left below, and Lan Sohn, are similarly enthused. Their faces say it all: Milk is a cause for celebration, not only for its outstanding nutritional value, but its economic importance. The U.S. dairy industry creates nearly 3 million jobs, generates more than $39 billion in direct wages and has an overall economic impact of more than $628 billion, according to IDFA’s economic impact tool, Dairy Delivers℠. That is definitely worth celebrating. A new online portal, GotDairyJobs.org, has been created by USDEC, in a collaborative effort with National Milk Producers Federation and International Dairy Foods Association, to provide people with the facts they need to show the importance of dairy to the U.S. economy on national, state and local levels. The "Got Jobs?" campaign also highlights U.S. dairy exports. Consider Mexico. Those exports create thousands of jobs in the United States and billions of dollars in economic impact, according to research from "The Impact of NAFTA on U.S. Dairy Exports to Mexico," a report by Informa Economics. Dairy is increasingly important in the Mexican diet, and USDEC is partnering with Mexican dairy organizations to create even more demand. 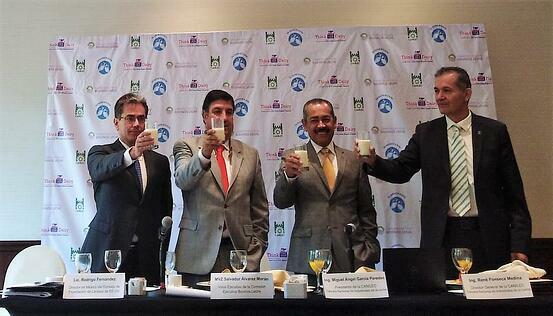 On Sunday, USDEC and Mexican dairy organizations set up a booth in downtown Mexico City to prepare for World Milk Day. They handed out free milk, cheese and dairy-themed t-shirts to participants in a bicycle race. 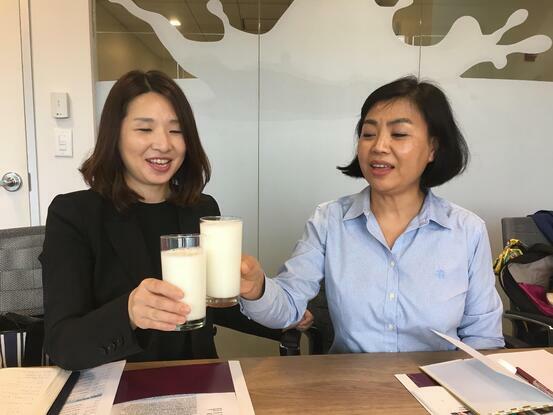 On Thursday, USDEC and Mexican dairy organization Canilec and livestock organization CNOG held a joint news conference with nutrition experts to review the health benefits of dairy consumption. Their conclusion: Let's raise a glass! From left, Rodrigo Fernandez, USDEC Representative in Mexico; Salvador Alvarez, of the National Confederation of Livestock Organizations (CNOG); Miguel Garcia, president of Canilec, and Rene Fonseca, Canilec director. Consider this statistic on exports. Milk from one out of seven tankers leaving American farms is turned into dairy products and ingredients exported overseas. That's a lot of milk, and a good reason for USDEC staffers (below) to raise a glass at their Arlington, Virginia, office. 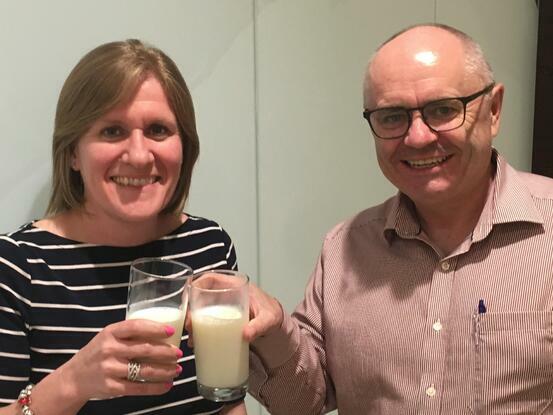 Angélique Hollister, vice president of cheese and consumer products at USDEC, and Ross Christieson, USDEC business unit director for North Asia, are happy to raise a glass in recognition of World Milk Day. Have you raised your glass yet? It’s not too late. It’s even better to share it on social media. When you do, use these hashtags: #WorldMilkDay and #UndeniablyDairy.